Last month I shared my review of Lucy Buffet’s new cookbook, LuLu’s Kitchen. See it HERE. I have the opportunity to share a couple more recipes from the cookbook with you. Buffett’s recipes are full of flavor and look as good as they taste. 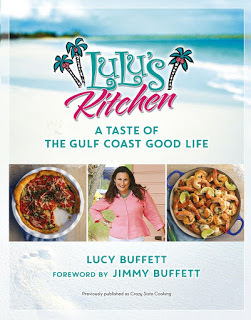 I’m still working my way through the recipes and am anxious to try them this summer, imagining that I am listening to the ocean waves while savoring every bite. Enjoy these recipes and be sure to let me know if you try them! At this point, you can cool the gumbo. It’s always better the day after it has been cooked, although I’ve never had a complaint when I served gumbo the day I made it. Remove from heat and let it sit for about 30 minutes. Then place pot, uncovered, in an empty sink. Fill the sink with water and ice around the stockpot. Stir gumbo every 15 minutes to move the liquid to facilitate cooling. 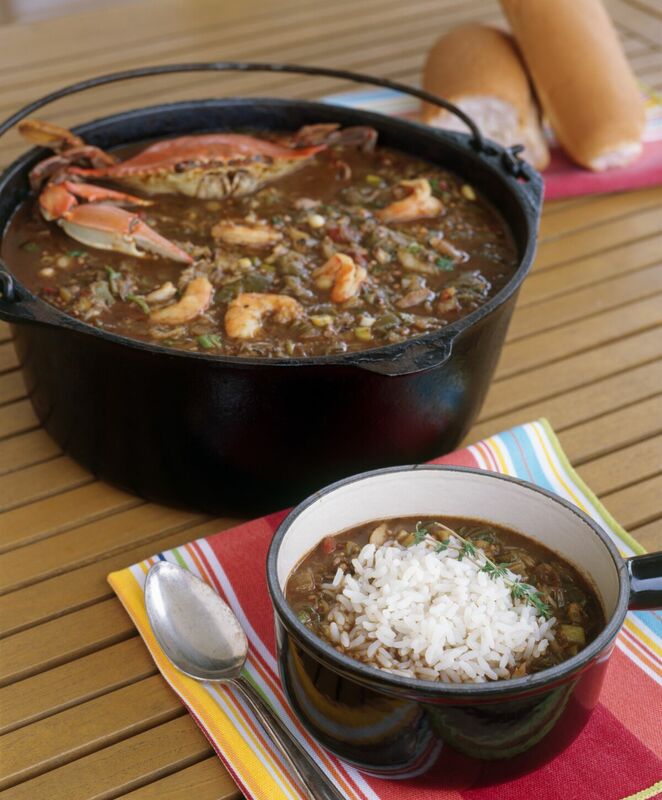 Gumbo will spoil if cooled improperly. (At the restaurant, we have cooling cylinders that look like baseball bats that are frozen and placed in the middle of five-gallon stockpots.) When completely cool, refrigerate it, uncovered, for a couple of hours before placing it in an airtight container. 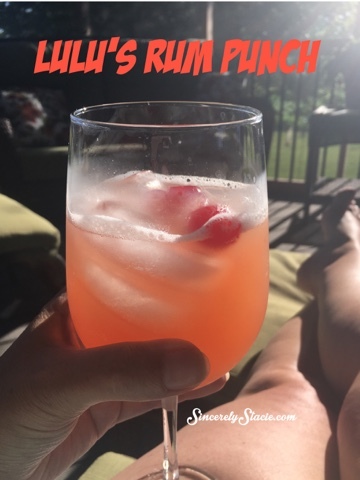 I’ve been wanting to try this beverage since I received the cookbook and finally this week I had my favorite bartender (my husband) make it for me. It was just the right amount of sweet and so refreshing on a 90° day! 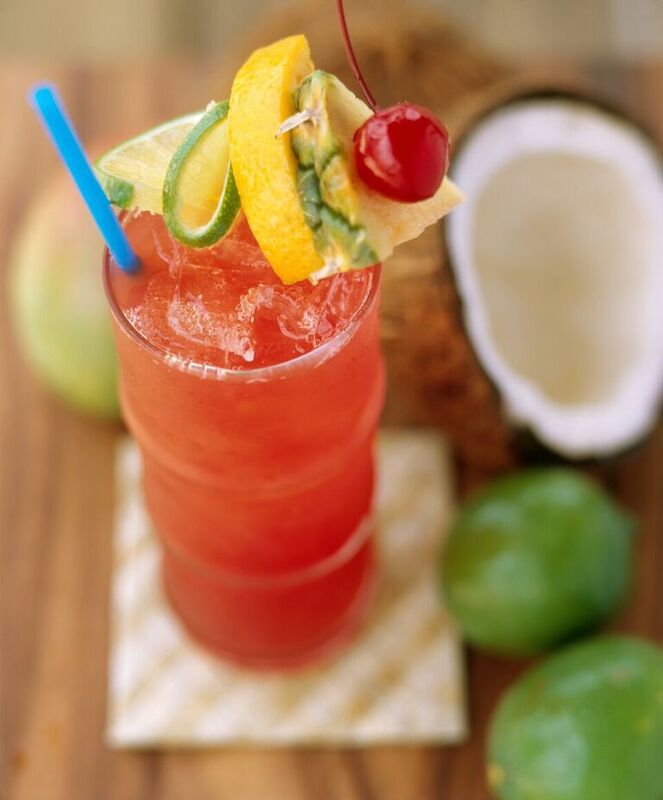 Be aware that with three types of rum, it packs a punch!